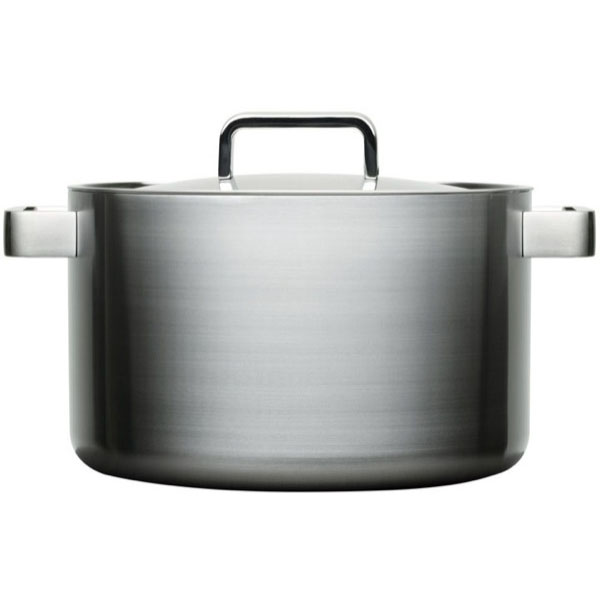 The Iittala Dahlström Tools Casserole w/ lid was designed by Björn Dahlström as part of the Iittala Tools line of beautifully designed, highly functional cookware. Each piece of the Dahlström Tools collection has incorporated the insight of professional chefs. The Dahlström Tools casseroles and saucepans are made of brushed stainless steel and distribute heat evenly when cooking and are stackable and sophisticated when not in use. There is also a non-stick Iittala Dahlström wok and frying pan series, pre-seasoned cast iron pan, elegant oven pans and an oak wooden tray that completes the Scandinavian cookware series. The Iittala Dahlström Tools cookware collection is as functional as it is beautiful.